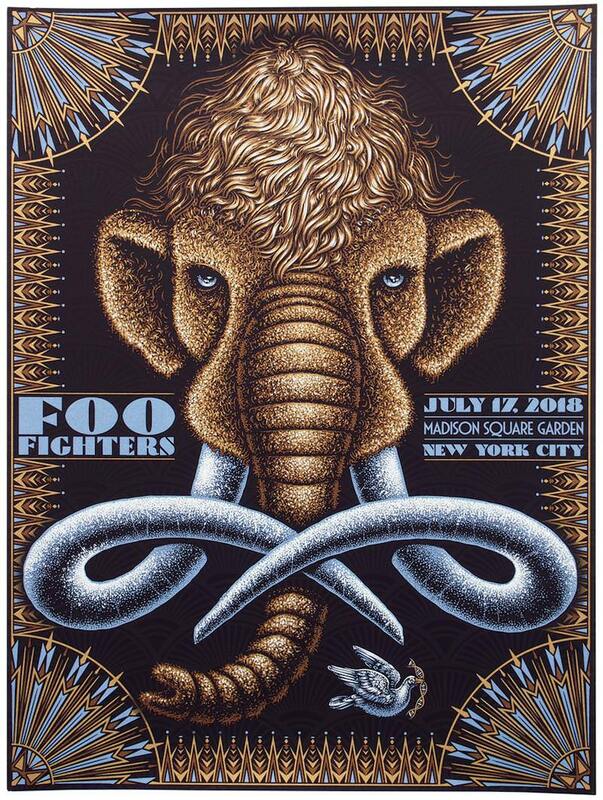 Todd Slater’s latest gig poster is for the Foo Fighters July New York City show. It’s an 18″ x 24″ screenprint, has a limited edition of APs, and costs $50. Visit ToddSlater.net.